Bears. Can't live with ‘em, can't live without ‘em. Unless, of course, you happen to have The Sims 4 Outdoor Retreat*, which lets your Sims dress like one! 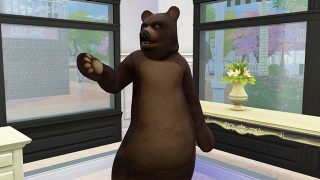 In which case, everything is bearilliant. 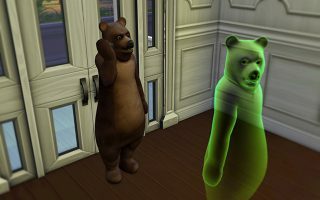 Here at Maxis, we love bears – that’s why we included Bear costumes in the first game pack for The Sims 4. And when we asked our community to capture their best Bear-related moments, the results were a (ursa) major success. Here are some of our favorites! 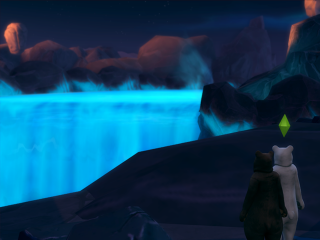 CaptainTHPS4’s image looks like it asks, “To Bear or not to Bear. That is the question.” The answer, obviously, is to Bear. Always Bear. Fullspiral’s a little less philosophical, but equally tranquil, showing a nice, relaxing bit of cloud gazing with a furry friend. 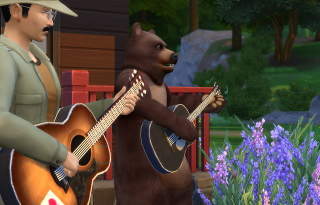 Bilmonaghan’s Sim likes to rock out while in Bear costume. Fishing up some supper with friends is what Chealsycat has on the mind. 83bienchen’s Sim is a little more mischievous, and enjoys casually swiping children’s toys when they aren’t looking. 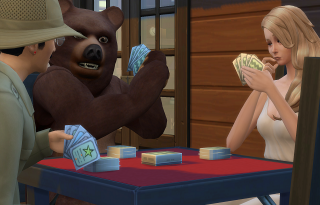 Bilmonaghan’s Sim is totally not cheating at cards (unless you consider wearing a mask to be cheating). That’s one heck of a poker face, though. 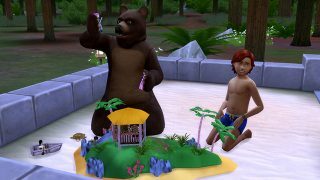 Catloverplayer presents a Sim going undercover in a Bear costume… casually visiting an alien planet. 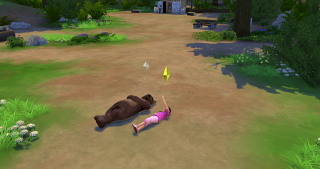 Haven’t picked up The Sims 4 Outdoor Retreat yet? Read about 6 things you need to know about the game pack , or find out what it’s like to play as a Doctor in The Sims 4 Get to Work.